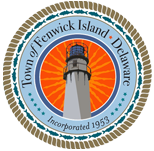 The Fenwick Island Police Department is a full service agency serving a resort community along the Delaware Coast. We are a pro-active but community-service based law enforcement agency. The Town of Fenwick Island Police Department is accepting applications for a full-time State of Delaware Police Officer (COPT Certified). On-going training for our officers includes firearms and tactical training. All officers are required to complete in-service training each year as well as specialized training. All outside training is coordinated through the Chief of Police. For more information, call (302) 539-2000.